The Amazon and Hachette Dispute Has Been Settled, but Will More Publishing Fights Follow? The day we thought would never come has come: Amazon and Hachette have settled their dispute. All is back to normal in the books world — but could major Amazon feuds like this one actually be the new normal? After all, this diagreement was so protracted, lasting almost half a year, that it calls into question whether or not it really will prove to be a random fluke, given how much power Amazon continues to have in the books industry. Of course, companies often engage in tense negotiations and have a hard time coming to agreements. What made the Amazon/Hachette feud distinct was the way in which Amazon retaliated by making Hachette titles more difficult for customers to obtain, upping the prices, increasing the shipping time, and removing pre-order buttons. 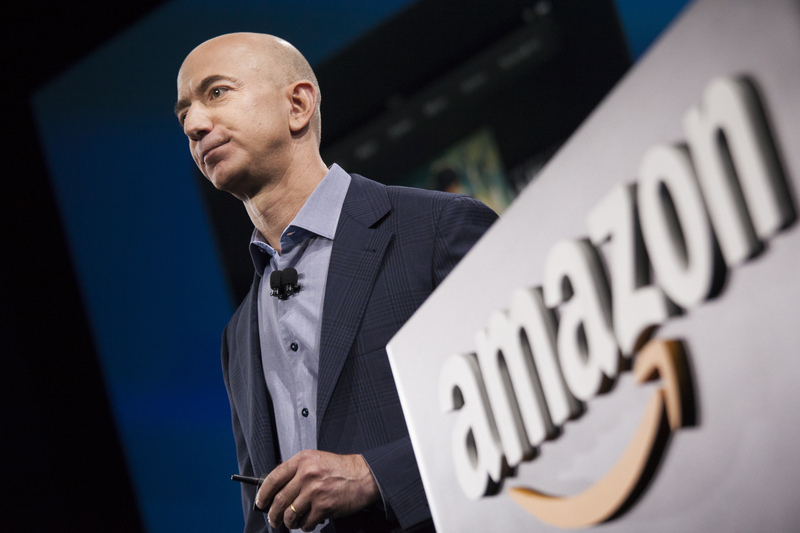 It was an undeniable power play on Amazon's part, but as Amazon keeps trying to get more powerful, expanding their services and their influence, will it prove to be a common tactic for the retail giant? On the one hand, there's plenty to suggest that this very public dispute was, indeed, an anomaly. For one thing, during the same time period in which Amazon was squaring off with Hachette, they successfully negotiated a new contract with Hachette's fellow Big Five publisher, Simon & Schuster. For another, Amazon doesn't seem to have gotten what they wanted out of this dispute after all. What little we know for certain about the negotiation is that Amazon wanted the ability to control prices of Hachette ebooks, but in the end, Hachette still maintains control over their ebook pricing. Given that Amazon's tactics seem to have been unsuccessful — plus the mountains of bad press and other headaches the whole thing also brought on — Amazon might not be eager to try interfering with a company's book sales again any time soon. On the other hand, relationships between Amazon and the major publishing houses don't appear to be 100 percent cozy. After all, the Big Five publishers continue to keep their books off of Amazon's Kindle Unlimited. And it's unlikely Amazon has forgotten the companies' collective efforts to conspire against Amazon with Apple just a few short years ago. In other words, Amazon and Hachette might have declared peace, but publishing houses and Amazon are still not exactly the best of friends. But perhaps even more importantly, there's no indication that this episode has lessened Amazon's appetite for increasing their control of the books market. Amazon is already responsible for about half of all the book sales in the United States, but they keep making efforts to expand their reach, doing everything from introducing a books subscription service to experimenting with drone delivery. Plus, given that they have their own publishing wing, the company is also a direct competitor to publishing houses, not just a books retailer. And given all of that, there is bound to be continued tension. Whether that tension will result in more public feuds that impact consumers still remains to be seen. However, it's hard to believe that Amazon will never again be tempted to leverage its clout and its power over books sales while in future negotiations with publishing houses. Hopefully, the memory of the backlash this most recent dispute brought them will be enough for Amazon to avoid such tactics in the future. After all, Amazon is, ultimately, a retailer, and living in a world where a retailer actively discourages certain book sales for their own internal reasons sounds more like the premise of a dystopian novel than anything. When it comes to something as culturally important as books, giving any one entity too much control is frightening. And knowing they aren't afraid to abuse that control is downright terrifying.